Are you working from your home and seeking for ideas to make your place more practical and charming? You can’t ignore the office space in your house. To make it a working environment only desk and chair are not sufficient. You need to get more things and ideas to get more creative place to work. A very important part of an office is to have a great chair. It should be comfortable as a priority feature of the chair as you spend hours at your work sitting. It should have some additional feature in it like adjustable height, cushioned and looks good. Although you can choose any color of your choice for your walls. So it all depends on you because your mood can be affected by colors. For some people bright colors are their choice. But it is always preferable to choose light colors or some contrast with light colors. You can add frames to your office space that have some inspirational quote on it. The quote should be relative to your work or should inspire you for your work. Every day you see that quote it will encourage you to do hard work. Small library in your office can be one option. It will provide working environment in your office and can help you when you want to study something. You need a desk according to your space available in your house. It should not be that much big that it covers all your available space. Quality of the table should be good. You can add lamp to your office or small led lights hanging on the wall. It will inspire you to work late time and can brighten up your mood. Along with walls floors are also to be considering for the office. It should be bright and for that you can use tiles of different prints and designs. To give some classy look to your office you can add painting related to whatever genre you like. Antique clock, painting, key holder, pen stand anything that you needed for your work and want to put it on your desk should be antique. Not all the things necessarily but at least some of them can be. Photo frame of your family or children can give you ultimate happiness and satisfaction. 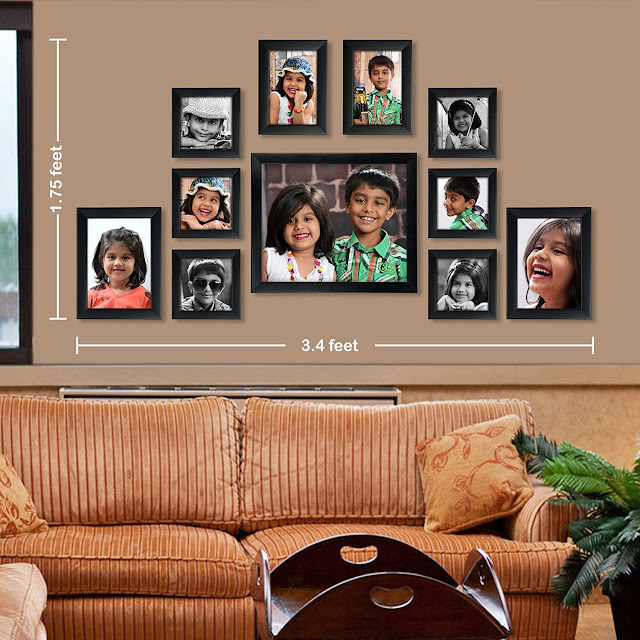 Whenever you feel low and demoralized then these family photo frames can encourage you and make you feel good.